Unfortunately, blindness and other types of vision impairment are a common disability in the United States. Many factors, especially age, can have an impact on a person’s vision. Regular visits to an optometrist are crucial to maintaining healthy vision. To help reduce employer and employee costs for vision care, AIS provides access to low cost, comprehensive vision insurance plans. Savings on new eyewear – get the latest styles! Let us open your eyes to how an affordable vision insurance plan from AIS can help you and your employees maintain the healthiest vision possible. 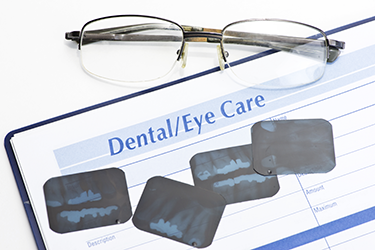 Vision insurance plans make a great supplement to any employer healthcare benefits package. The monthly premiums are so low that almost every employee can afford coverage. Contact us for a free consultation. Our helpful, experienced agents present will enable you to get the vision insurance plan that provides the best benefits to you and your employees. With an affordable vision insurance program from AIS, your employees will see the benefits while you keep an eye on costs.